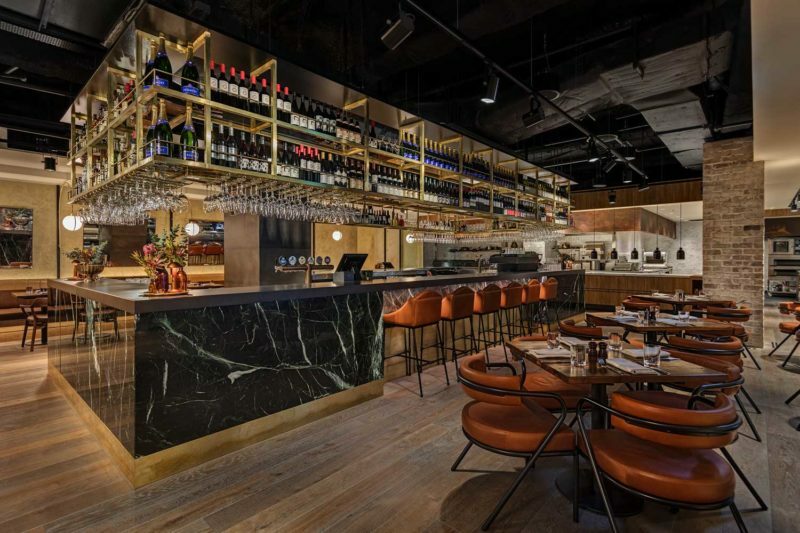 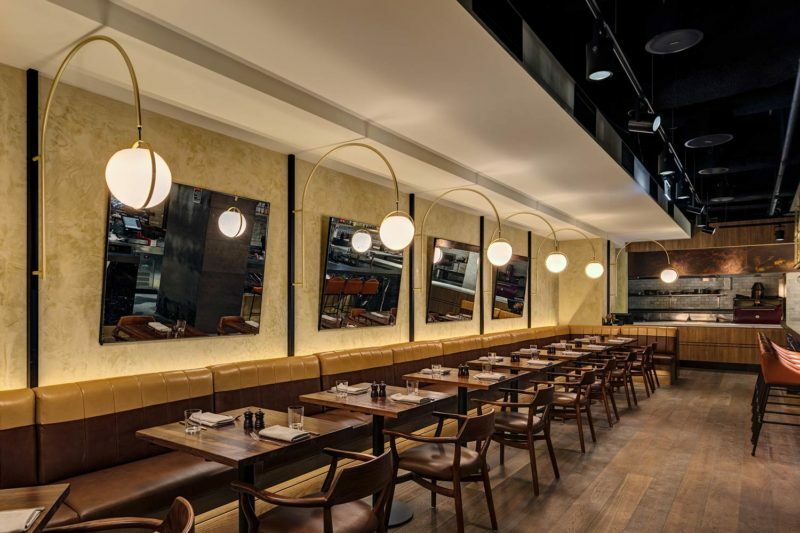 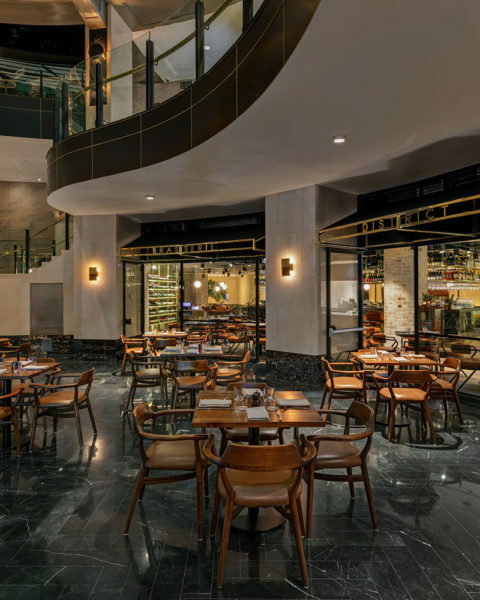 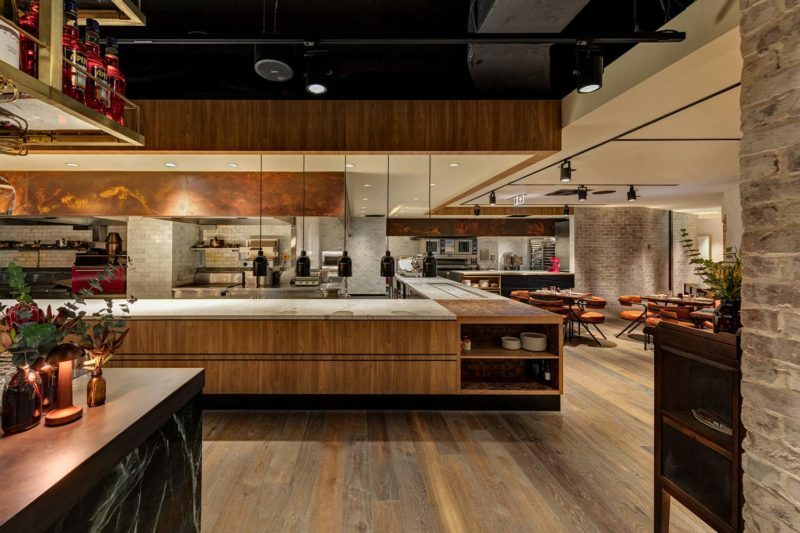 Located within the prestigious Chifley plaza in Sydney’s CBD, District Dining Brassiere is a total sensory experience; Charcoal cooked meats, fully open kitchen with some of Sydney’s finest on display and a patisserie that would make most bakers blush. 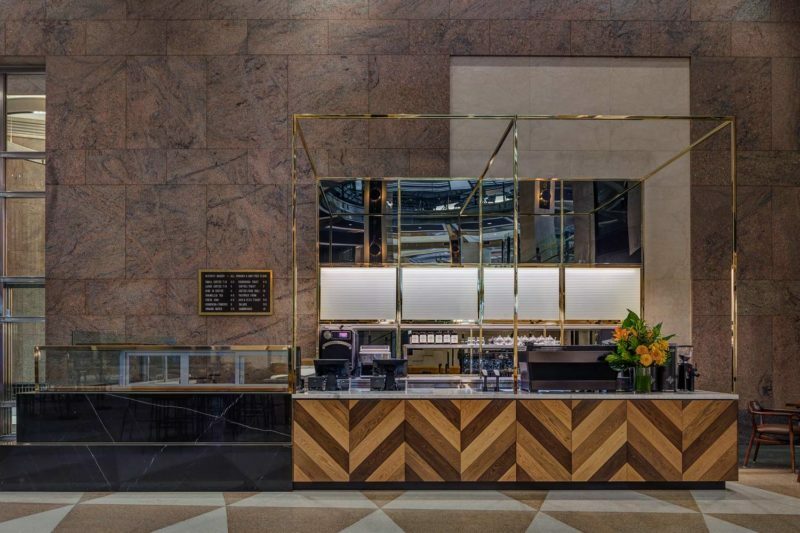 A two stage dining experience, a glamorous takeaway café bakery and a fabulous ala carte Brasserie with 200 seats. 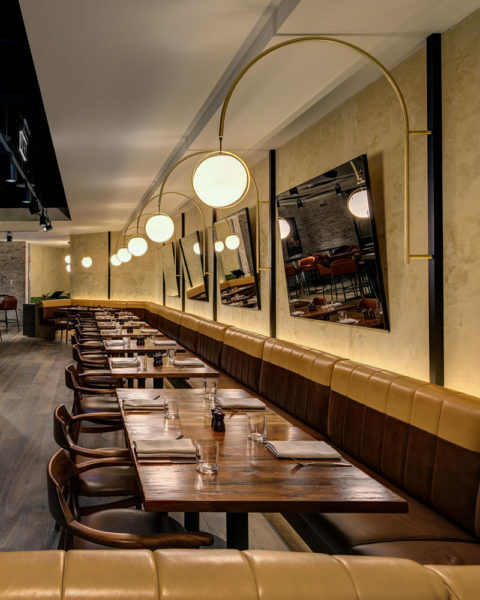 The space has a casually elegance with a tension between the distressed gritty treatment of the walls, aged brass highlights. 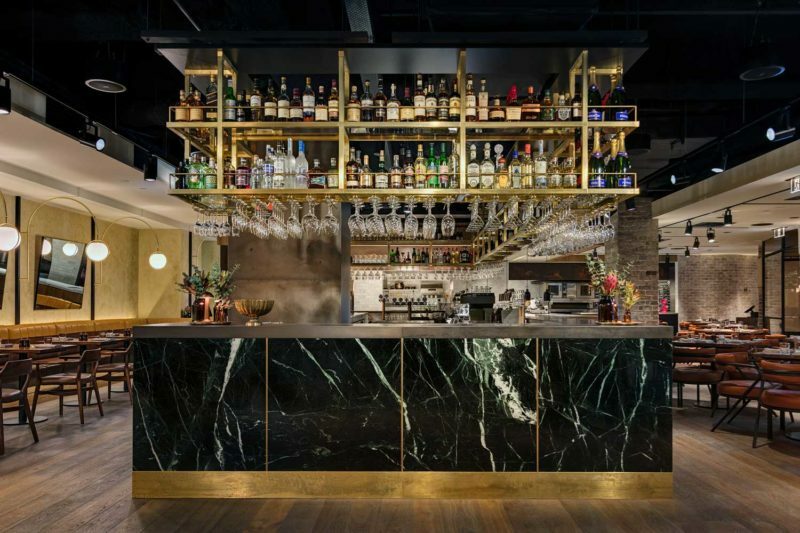 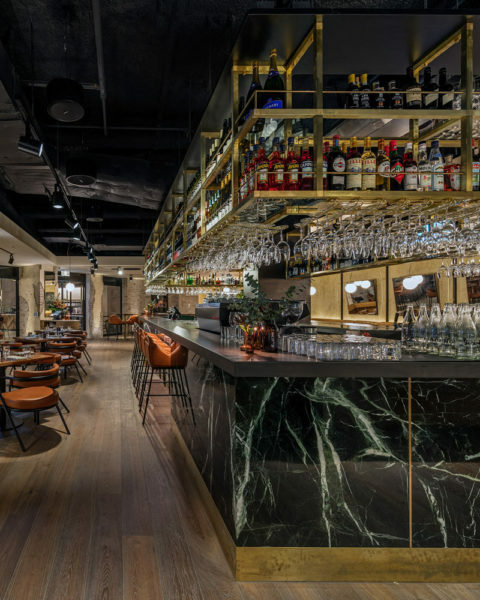 The Bar is the hero of the room with Green Marble cladding and a soft steel bar-top, it is traced by a light decorative brass display housing upwards of 1000 bottles of wine. 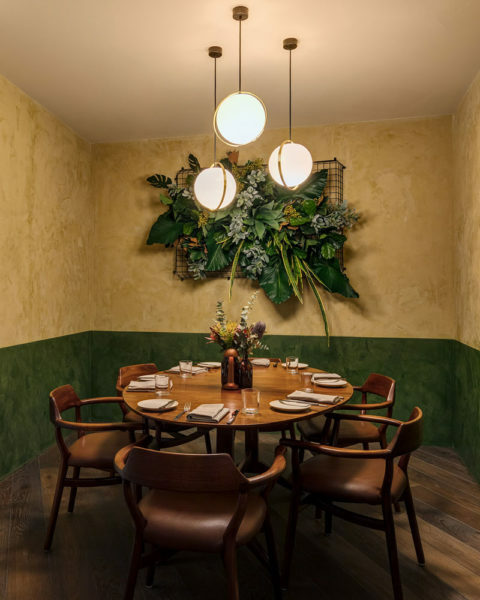 The room is surrounded by post war inspired Stucco and banquettes that look straight out of NYC.